On Monday, a new array of US anti-Iranian sanctions entered force, targeting the Islamic Republic's energy, banking and shipping sectors. Washington granted temporary waivers to eight countries to allow them to continue importing oil from Iran after November 5. They include China, India, Italy, Greece, Japan, South Korea, Taiwan and Turkey. French Economy and Finance Minister Bruno Le Maire has pledged that Paris will attempt to lead the EU's efforts to defy Washington's sanctions against Iran and strengthen the international role of the euro. The Financial Times cited Le Maire as saying in an interview that "Europe refuses to allow the US to be the trade policeman of the world" now that Washington's new batch of anti-Iranian sanctions has come into effect. He argued that the US-EU row over the Iran sanctions and the bloc's push to create a new financial mechanism aimed at continuing trade with Iran underscored the necessity for Brussels to ensure its "economic sovereignty" from Washington. La Maire touted the Special Purpose Mechanism (SPV) as "the financial instrument of Europe's independence," saying that the SPV should "allow us to trade in any product, with any country, so long as it is in line with international law and Europe's commitments." 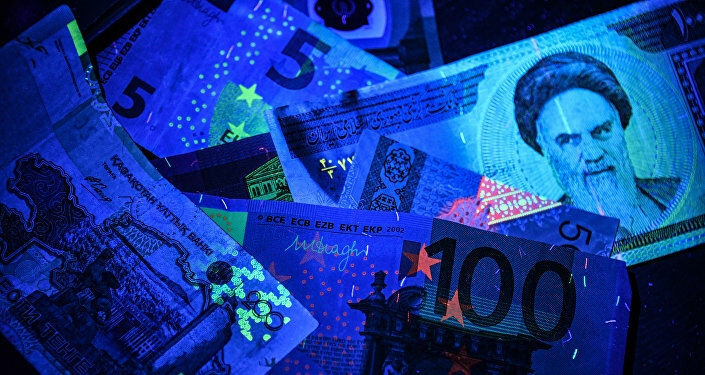 He also argued that the SPV will add significantly to making the euro as powerful as the dollar, a task that he said should also be implemented by deepening the Eurozone's capital markets and creating a single budget. "It is urgent to adopt these new instruments to help the Eurozone gain strength and stability. That is the first step on the path of making the euro an international reference currency," he emphasized. Le Maire's remarks came after a new batch of sanctions on Iran’s oil trade as well as shipping and banking came into force on Monday, with the US Treasury Department adding more than 700 Iranian individuals and organizations, including 14 of the country's largest banks, to the sanctions list. US Special Representative for Iran Brian Hook said, for his part, that the significant reduction exemptions (SRE) would last only six months, and that Washington did not plan to grant any additional SREs after the 180-day period. After President Donald Trump announced the US's exit from the 2015 Iran nuclear deal, also known as the Joint Comprehensive Plan of Action (JCPOA) in early May, he also vowed to reinstate economic sanctions against Tehran and those countries which continue to do business with the Islamic Republic. The first round of the US restrictions entered into force in August.